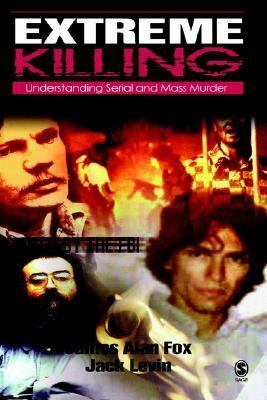 'Extreme Killing' offers a comprehensive overview of multiple homicide, including both serial & mass murder, & presents a unified conceptual framework for understanding divergent forms of extreme killing, whether these express power, revenge, terror, greed or loyalty. contributions to the public understanding of sociology. Also in 2009, he received the Apple Award from the New England Sociological Association for his contributions to teaching. Levin has spoken to a wide variety of community, academic, and professional groups, including the White House Conference on Hate Crimes, the National Organization of Hostage Negotiators, and the International Association of Chiefs of Police. Clinton, Attorney General Reno, and Princess Anne of Great Britain. He has worked on criminal investigations surrounding serial and mass murder cases and served as a visiting fellow with the Bureau of Justice Statistics focusing on homicide patterns and trends. Finally, Fox was honored in 2007 by the Massachusetts Committee against the Death Penalty with the Hugo Adam Bedau Award for excellence in capital punishment scholarship and by Northeastern University with the 2008 Klein Lectureship.